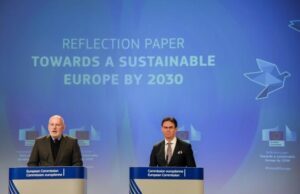 As part of the debate on the future of Europe, launched with the Commission’s White Paper of 1 March 2017, the Commission is published yesterday a Reflection Paper on a Sustainable Europe by 2030. Announced as a follow-up to President Juncker’s 2017 State of the Union Address, today’s Paper forms part of the EU’s firm commitment to deliver on the United Nations Sustainable Development Goals, including on the Paris Agreement on Climate Change. By reviewing the breadth of challenges for Europe and presenting illustrative scenarios for the future, the Paper seeks to steer the discussion on how these goals can be best achieved and how the European Union can best contribute by 2030. Building on what has been achieved in recent years, these scenarios highlight that further action is needed if the EU and the world are to secure a sustainable future in the interest of citizens’ well-being. Over the years, the EU has become a frontrunner in sustainability, with the highest social and environmental standards, and championing the Paris Climate Agreement and innovative concepts like the circular economy. The Juncker Commission has mainstreamed sustainable development priorities across its policies since the start of its mandate. However, like the rest of the world, the EU faces complex, changing and pressing challenges, in particular related to its ecological debt and climate change, demographic change, migration, inequality, economic and social convergence, and pressure on public finances. Moreover, rising temptations of isolationism and nationalism are a sign that too many Europeans do not feel protected enough in this changing world. The undeniable facts should not instil us with fear, but inspire us to act instead. The Reflection Paper focuses on the key policy foundations for the sustainability transition, which include moving from linear to circular economy, correcting the imbalances in our food system, future-proofing our energy, buildings and mobility, and making sure that this transition is fair, leaving no one and no place behind. The Paper also concentrates on the horizontal enablers, which need to underpin the sustainability transition, including education, science, technology, research, innovation and digitisation; finance, pricing, taxation and competition; responsible business conduct, corporate social responsibility and new business models; open and rules-based trade; governance and policy coherence at all levels. The Paper ends by emphasising the importance of blazing the trail for the sustainability transition globally as our policies will only have a limited impact on the planet if others pursue opposing policies. An enhanced focus on external action while consolidating current sustainability ambition at EU level. The EU also believes that corporate social responsibility, through the creation of socially and environmentally responsible businesses, can lead to more sustainable profits and growth, as well as new market opportunities and long-term value for shareholders. Their development will later reflect the true environmental and social costs of production and ensure that sustainable products and services become more affordable in areas such as tax systems and pricing. On 25 September 2015, the General Assembly of the United Nations adopted a set of 17 Sustainable Development Goals to end poverty, protect the planet, and ensure prosperity for all as part of a new sustainable development agenda, the “2030 Agenda”. Each of the 17 goals has specific targets (169 targets in total) to be achieved by 2030. The EU was a leading force behind the adoption of the 2030 Agenda and its Sustainable Development Goals. On 22 November 2016, the Commission adopted a Communication on ‘Next steps for a sustainable European future‘ in response to the 2030 Agenda. The Communication presented a picture of what the EU is doing to contribute to the 2030 Agenda by highlighting key EU policies for each of the 17 Sustainable Development Goals. It also explained how the 10 priorities of this Commission for the period 2014-2019 contribute to the 2030 global agenda. The Communication also announced the launch of a high-level multi-stakeholder platform, chaired by First Vice-President Timmermans, with a role in the follow-up and exchange of best practices on the implementation of Sustainable Development Goals. On 13 September 2017, the President, in the letter of intent accompanying his State of the Union Address, announced a Reflection Paper entitled ‘Towards a Sustainable Europe by 2030′ on the follow-up to the Sustainable Development Goals, including on the Paris Agreement on Climate Change. The Reflection Paper is accompanied by a detailed set of annexes reviewing the performances and recent measures taken by the EU in relation to the Sustainable Development Goals. The contribution of the EU’s high-level multi-stakeholder platform is also attached. Hey Buddy!, I found this information for you: "Sustainability: Commission presents a reflection paper on a more sustainable Europe by 2030". 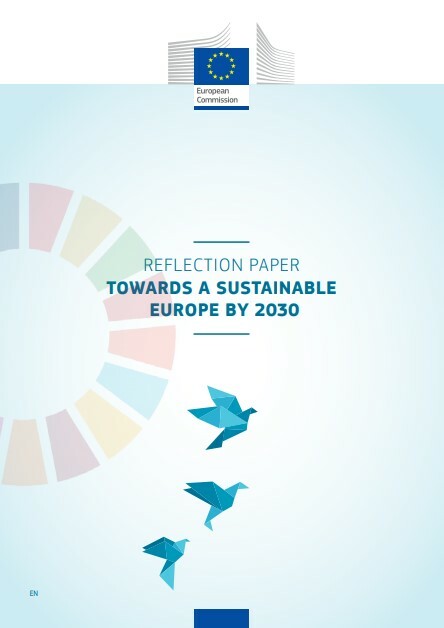 Here is the website link: https://www.duurzaam-ondernemen.nl/sustainability-commission-presents-a-reflection-paper-on-a-more-sustainable-europe-by-2030/. Thank you.